Fish Fry every 2nd Friday of the month, 11:00am-7:00pm. Sign up for crime alerts from LMPD by clicking HERE. Sign up for Emergency Alerts by clicking HERE. You are receiving this email because you have contacted my office in the past. Please feel free to use or share information from this publication as needed, and to forward it to others who may want to sign up for District 13's e-news. 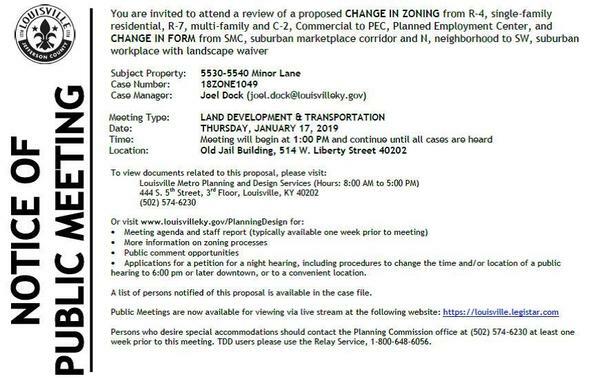 If you have questions, comments or suggestions, please call 574-1113 or email barbara.nichols@louisvilleky.gov. Did You Know About the Emergency Repair Program? AN ORDINANCE CHANGING THE ZONING FROM R-4 RESIDENTIAL SINGLE FAMILY AND C-1 COMMERCIAL TO CM COMMERCIAL MANUFACTURING AND CHANGING THE FORM DISTRICT FROM REGIONAL CENTER TO SUBURBAN WORKPLACE ON 19.23 ACRES AND CHANGING THE ZONING FROM R-4 RESIDENTIAL SINGLE FAMILY TO C-1 COMMERCIAL ON 0.18 ACRES ON PROPERTIES LOCATED AT 6008, 6108, AND 6110 NEW CUT ROAD AND BEING IN LOUISVILLE METRO (CASE NO. 18ZONE1037). Ultimately the Ordinance to allow the new warehouse passed, but by a slim margin. 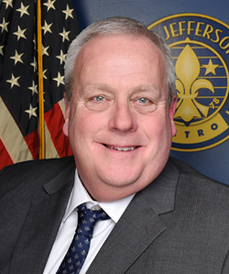 Councilman Fox remains steadfast in working to ensure the integrity of the Fairdale Village is kept intact. 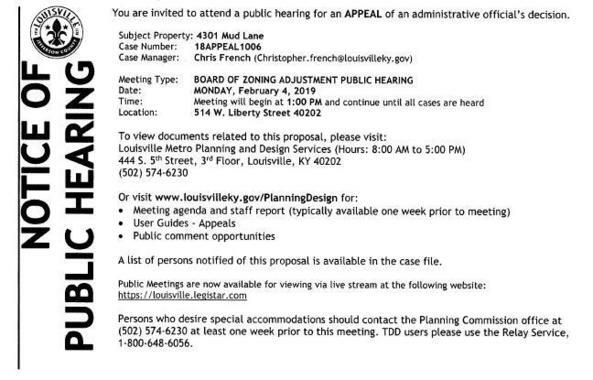 For basic details for case/s please visit http://www.louisvilleky.gov/PlanningDesign/. Click on “Search Case Information” link on the left navigation bar. Then select the “home” tab and select the type of case and enter the above case number. 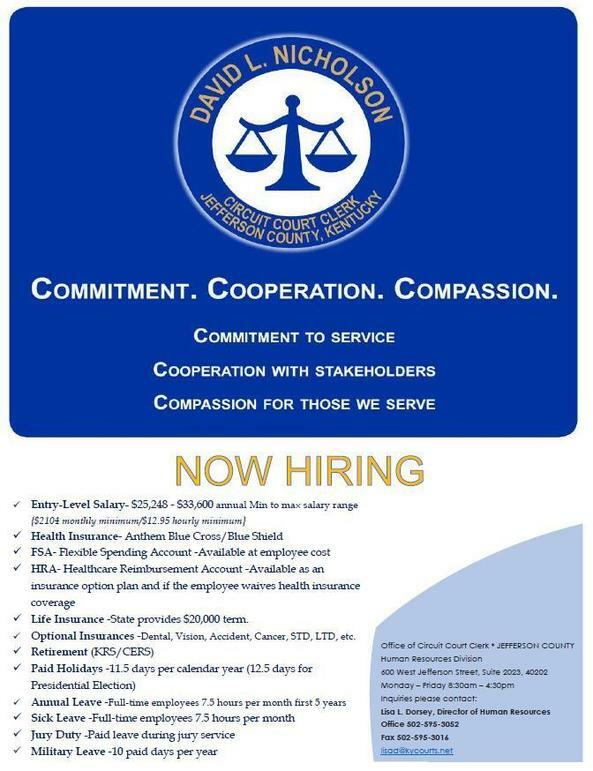 For specific case information please call or email the listed case manager. If you have any questions please contact Planning & Design directly at 574-6230. A pubic hearing has been scheduled for this case on Thursday February 7 at 1:00pm at the Old Jail, 514 W.Liberty St. The Staff Report for this case can be viewed by Clicking Here. There will be no garbage, junk or recycling collection on Monday, January 21 within the Urban Services District in observance of the Martin Luther King, Jr. Day holiday. Residents serviced by private companies for waste and recycling collection should check with those companies for the holiday schedule. EXCEPT that Electronics Drop-off Service is available 8 a.m. to 3 p.m.
For more information visit www.louisvilleky.gov/recycling or dial Metro311 at 311 or 574-5000. The annual program that helps prevent low income residents of Louisville from being disconnected from utility services began on Monday. LIHEAP, the Low Income Home Energy Assistance Program, is administered by Louisville Metro Office of Resilience and Community Services. The Crisis Component of LIHEAP will run through March 29, or until available funds have been expended, whichever comes first. This year’s Crisis Program once again features expanded eligibility allowing residents who received a utility bill with a past due amount to apply, in addition to continuing to serve those who received a disconnect notice. Residents wishing to apply must make an appointment in advance utilizing the automated appointment system. The toll free service is available twenty four hours a day, seven days a week. 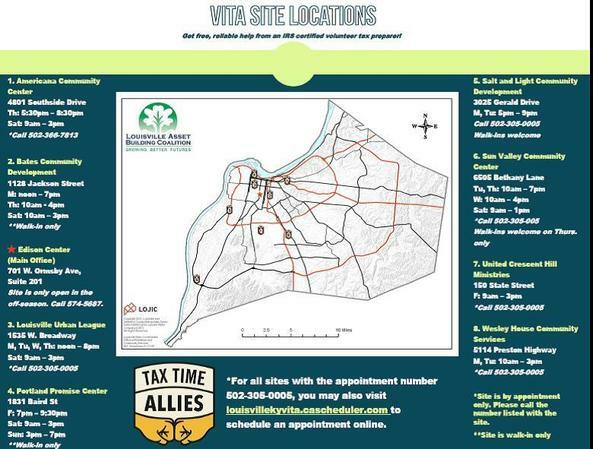 Appointments can be scheduled by phone by calling 502-991-8391 or online at louisvilleky.cascheduler.com. 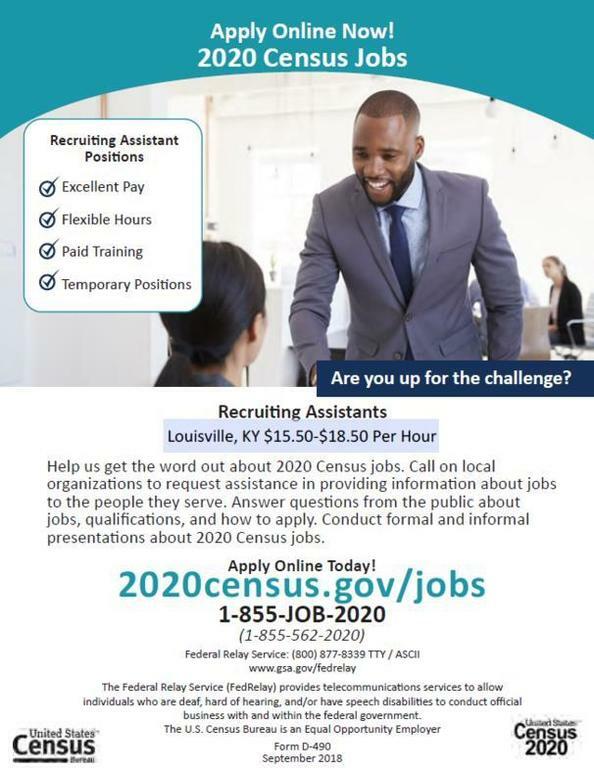 Applicants must be Jefferson County residents with a household income at or below 130 percent of the federal poverty guidelines. Read more details here. As the weather gets colder, it becomes increasingly dangerous for those who are homeless.Several constituents have reached out wanting to help but don't know the best way to do so. Check out the Coalition for the Homeless’ website to see some of the member agencies that are working to provide these supplies to those who need it most. Get FREE and reliable tax prep assistance and invest your tax prep savings! To qualify, household income must be under $64,000. You may be eligible to receive an Earned Income Tax Credit (EITC). For more information, visit www.labcservices.org. or call 211. Do you have time to participate in Meals on Wheels? The Food Pantry, one of several food programs operated by SWCM, needs additional donations during the Holiday Season for the increased requests . South Louisville Community Ministries stocks a Food Pantry for clients in need. Contact them directly to see how you can help those in need this Holiday Season and share your gift. The Slow Food Bluegrass School Garden Grant supports a school garden project based in Louisville, KY with $5,000 distributed over the course of three years: $2,500 in year one, $1,500 in year two, and $1,000 in year three. To be eligible for a Slow Food Bluegrass Garden Grant, applicants must be a (a) 501(c)(3) nonprofit organization or (b) nonprofit (public or private) K-12 school, developing a student garden project focused on connecting and engaging children with fresh fruits and vegetables. Priority is given to both limited-resource communities and to projects clearly demonstrating strong buy-in from stakeholders. Please email your application to info@slowfoodbluegrass.org; applications are due by March 10th. For more information please visit http://www.slowfoodbluegrass.org/schoolgardens/. Must be owner occupied for at least one year. Not available on rental property. May receive assistance once in a five year period. Water Heater repair/replacement, Gas or Electric. TARC introduced a new fare system this week, making riding public transit in the region easier than ever. Riders tap their MyTARC cards onto the fare box on board each bus. The proper fare will be deducted automatically, and the card balance will be displayed on a fare box screen. 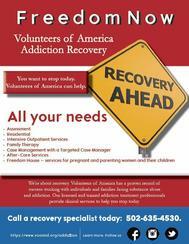 If you are know someone who may be interested in VOA’s programs, please contact the intake office at 502-635-4530. They’re able to do a quick screening, verify their insurance, and set up an intake date and time. 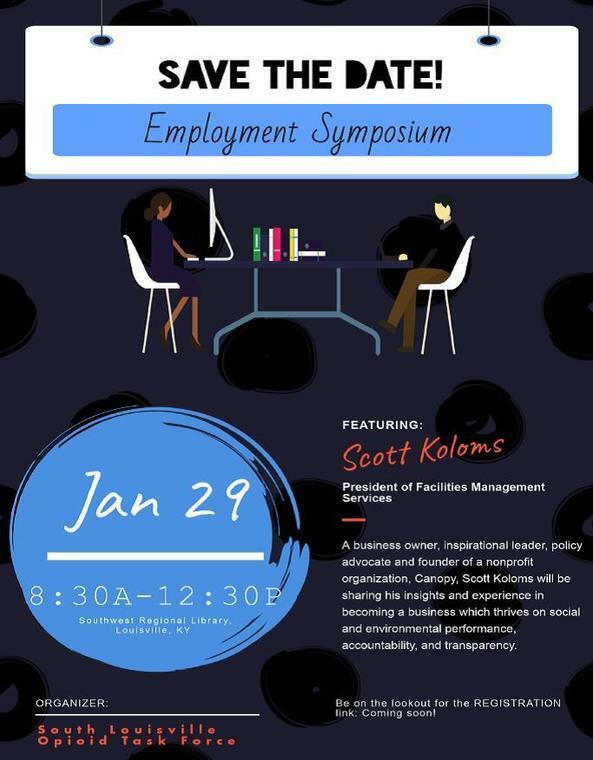 This Employment Symposium is meant for local business owners and not the public at large. You’ve proved you know how to shop local for holiday gift giving, but now let’s talk business. Where do you buy your printer paper? Who does your taxes? How do you market your service or product? Do you shop local for these services also? An upcoming event will give attendees the chance to ‘walk the talk’ and find quality, local vendors for their business purchases. The Louisville Independent Business Alliance (LIBA), an organization with 900 local and independent business members, will host the fourth annual Louisville Local Business Expo on Tuesday, January 22 from 1:00 pm – 4:00 pm at the Mellwood Arts Center (Picasso Room), 1860 Mellwood Avenue. The Expo will showcase over 60 local and independent “Business to Business” companies, giving purchasing decision makers the opportunity to explore local options for their needs. Admission is free with a business card. For more information and to register, visit www.keeplouisvilleweird.com. We currently have openings on all 3 shifts with 2nd/3rd receiving a shift differential (tougher to fill). 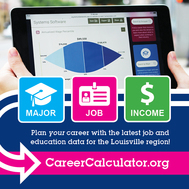 The Career Calculator is being used in schools, career centers and libraries across the Louisville region. Louisville Parks and Recreation wants to remind the public it will open hills in seven parks for sledding from 9 a.m. to 11 p.m. on days when snow accumulation reaches 2-3 inches. This season the sledding hills at Joe Creason Park, across from the Louisville Zoo, will be closed. Sledding is permitted on designated sledding hills when the “Sledding Hill Open” sign is displayed. Sledding hills will be open daily from 9 a.m. to 11 p.m. as long as there is adequate snow to protect slopes; all sledding hills will close at 11 p.m.
Park vehicles only in regular parking areas to protect your car from damage. No vehicles are permitted off the pavement in any park. No alcoholic beverages are permitted at any time. Those who use the designated sledding hills are doing so at their own risk. Bonfires will not be permitted at Metro Parks’ sites, and sledders are urged to carry a cell phone in the event of an emergency. Looking for a challenging hike? Join us on the Siltstone Trail for a 6.7 mile hike. The Siltstone Trail is named for the common stone capping the knobs and is one of the oldest and most loved trails in the Forest. It features steep ascents and descents along ridges and around tall knobs. Meet at Scott's Gap Parking Lot. Transportation will be provided from the Welcome Center back to vehicles at the end of the hike. Hikers can warm up by the fire in the Welcome Center post hike. Event is FREE and open to the public. No registration needed. Contact the Welcome Center during office hours for directions if needed: 502-368-5404. Give your sweetie the moon, the stars, and all of Louisville! Bring them to the Forest for a romantic candlelit hike that ends with a beautiful view of the Lights of Louisville. The hike’s destination is the Horine Conference Center, where you’ll be greeted by a roaring fire, hot beverages, mocktails, hors d’oeuvres, and desserts. Louisville Astronomical Society will be joining us to gaze at the stars and the Andromeda Galaxy! Meet in the Horine Reservation main parking lot. CLICK HERE FOR MONTHLY NEWSLETTER PUBLISHED BY WILDERNESS LOUISVILLE, INC.
Nar-Anon: Hope for Families - Meetings at Mosaic UMC Mondays at 8:00 pm. A program that is for people who love someone with an addiction. Nar-anon is for people affected by someone else's addiction! This is a place that you will see that you are not alone and that others understand what your life is like. MOSAIC UMC, 8008 St. Andrews Church Road, 40258 For more information, please contact Ed Small at 502.494.5030 or visit the Nar-Anon website. Fraternal Order of Eagles 201 Outer Loop. Friday Night Bike Nights 7-11 pm. Open to the Public & looking for new members! Friday Fish Fries are back 5:30-8:30 pm !! Southwest Women’s Roundtable (SWWRT) - 2nd Wednesday, 8:30-10:00AM, Location/speakers vary, Contact: swwrt2014@gmail.com or FB page. Dixie Area Business Assn (DABA) – 2nd Wednesday., 11:30AM-1:00PM, Location/speakers vary, Contact: 367-3880 or www.dixieaba.com or FB page. Fairdale Community Club - 2nd Thursday, Fairdale Playtorium 10616 W. Manslick Rd, 6:30 PM, Contact: Eldora Slack 367-9769 or FB page. This is the last call for regular yard waste pickup before is it suspended for the winter! Louisville Metro Solid Waste Management will be suspending the collection of yard waste in the Urban Services District (USD) beginning on January 21 through April 1, 2019 (the end date is new, changed since the first notice in our eNews). While individuals may request collection as needed during this time through MetroCall at 574-5000, please plan to set out your yard waste – including Christmas trees – BEFORE January 19. Tired of forgetting when your next bulky items/junk pickup is coming or wondering where to dispose of something that's not safe to put in the garbage? Then go to Google Play or the App Store to download our Recycle Coach app. It'll give you a personalized calendar of waste and recycling collection, answer your questions about what goes where, and even remind you when to put your stuff out. 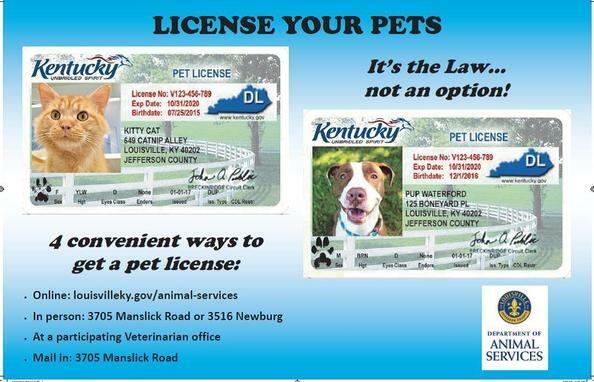 People who are interested in fostering will need to fill out the Foster Application(PDF) and either email, fax to 502-473-2634, or bring the completed application to the LMAS Animal Care Center, located at 3705 Manslick Rd. For more information on our foster care program, please contact Stephanie Jackson at stephanie.jackson@louisvilleky.gov or (502) 574-6978. Feeding Stray Cats? 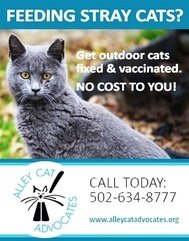 Alley Cat Advocates can help get outdoor cats fixed and vaccinated at NO COST TO YOU! 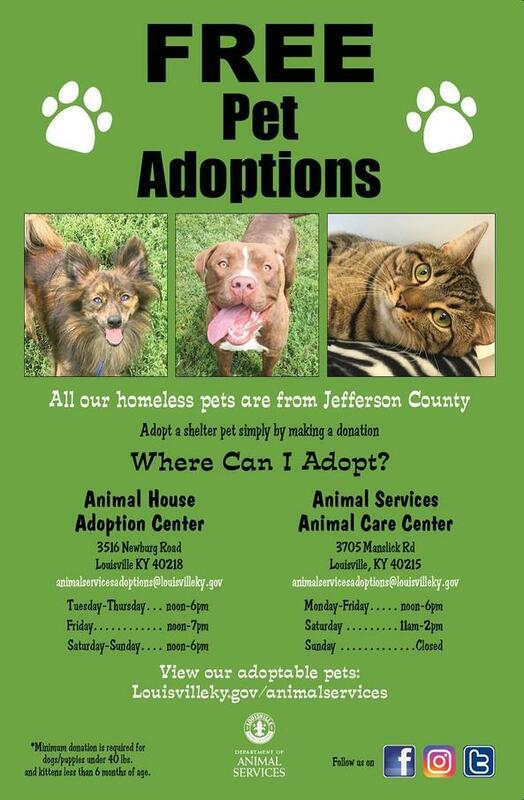 Cat Caretakers living in the following Jefferson County zip codes 40208, 40209, 40213, 40214, 40215, 40216, 40217, 40219, 40258 and 40272 are eligible for spay/neuter services for unowned community cats, They will be vaccinated, spayed/neutered, treated for flea and ear-mite medicine, given a great vet visit, ear-tipped (the universal symbol of a neutered cat) and returned. When there are no more kittens; the number of cats gradually goes down and annoying behaviors such as yowling, fighting, spraying stop. Consider serving on a board or commission. 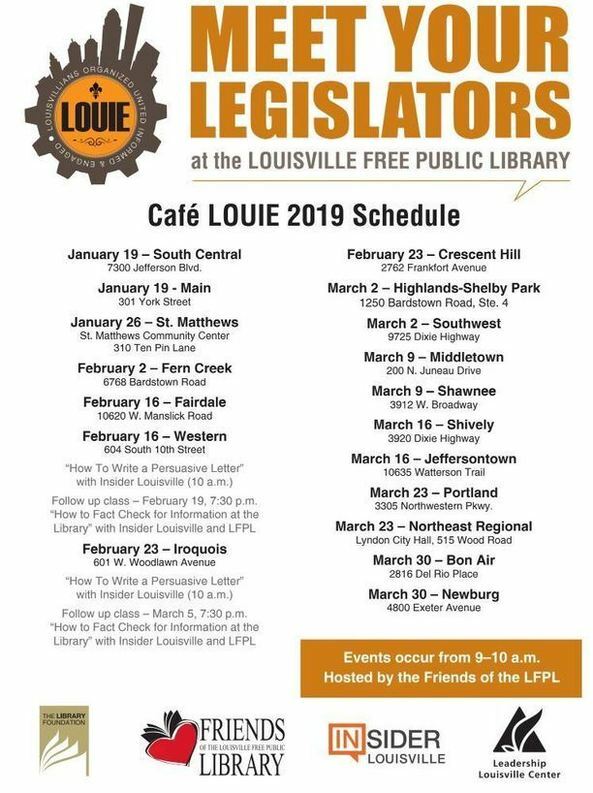 It is important that these positions are filled by individuals representing all the diverse communities of Louisville and we would love to see our Southwest leaders become involved! Below is a list of current vacancies. When you find something that strikes your interest, CLICK HERE to access the application and please inform our office when you do so. 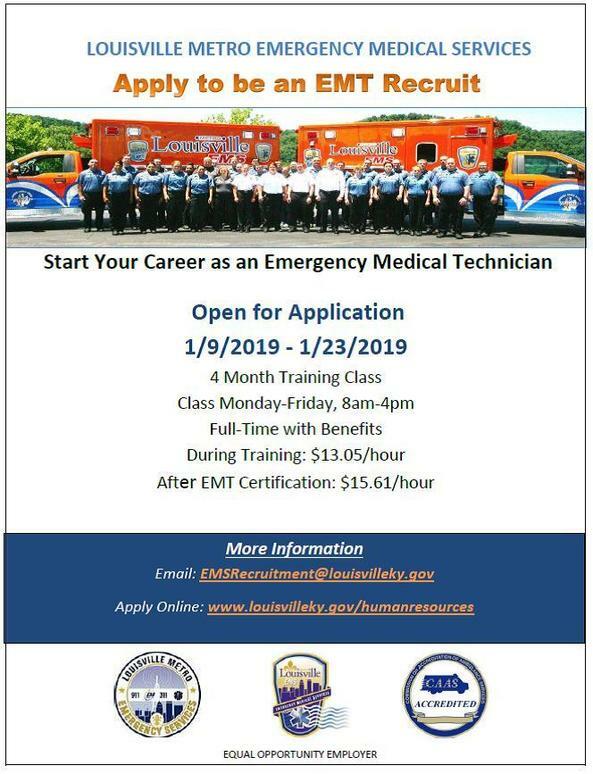 Feel free to pass on the link to any friends or family that might be interested! Click Here to Apply for one of the Boards or Commission vacancies. Do you have questions for Councilman Mark Fox?